Don’t write something just for the money. We hear this advice but most of us don’t fully understand it until we attempt to do it. Way back in the long ago, I worked for a group that created content for reading labs. We would take a passage written for 9th graders and then rewrite it at a 6th grade level, a 4th grade level, all the way down to first grade. I assume that there are people who actually enjoy this type of writing. Me? I’m not that person. When Red Line contacted me and offered me a book about an Ancient Civilization, you would have thought I was a 6 year-old on Christmas morning. I have degrees in anthropology and history. I put myself through college creating archaeology illustrations – maps, diagrams, artifact drawings and more. This was perfect. I got to read history and archaeology. I discussed geography and geology and chemistry. And, best of all, they paid me. It was a ton of work but it was so much fun. For me, it is like all the best parts of school. History. Science. Social studies. I even managed to work in math when I tackled the Mayan’s number system. So exciting. Now I’m guessing that you can tell the difference when I write about the job I disliked and the job I loved. Fortunately for me, I’m interested in a lot of things including history, science and current events. So writing educational nonfiction is perfect for me. Write what you love. Love what you write. Otherwise, you’re going to burn out. Does this mean that you are going to discover the right thing for you immediately? Probably not. A lot of people tell you to write what you like to read. Hmm. That would mean I should write sf/f or mysteries. I am trying but nonfiction? I think that will always be my sweet spot. Not long ago, I roughed out a new picture book. Joy! Bliss! Granted, it was the first draft and first drafts are very often happy places. After all, everything is shiny and new and I have great hope that it will all come together much more easily this time around. But it also got me to thinking that there have been times that I truly do not like the writing I am paid to do. Fortunately, that is the beauty of working as a freelancer. You are free to accept or reject assignments and contracts. Personally, I think it is very important to limit the amount of writing that you don’t enjoy. Why? Because if it is drudgery, it is going to show and it will show in a bad, bad way. Believe me, I’ve seen it in my own work. Yes, you have bills to pay and some of what you write may not make you deliriously happy. We all like some jobs more than others, but we can also periodically reevaluate what we do. That’s what I’m going to attempt to do this summer. Why not join me in this experiment? 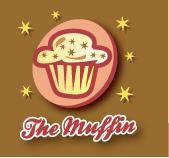 Find out how at the Muffin.